Bring your BFF, spouse, mother or your lover and join us for a lovely evening creating together. 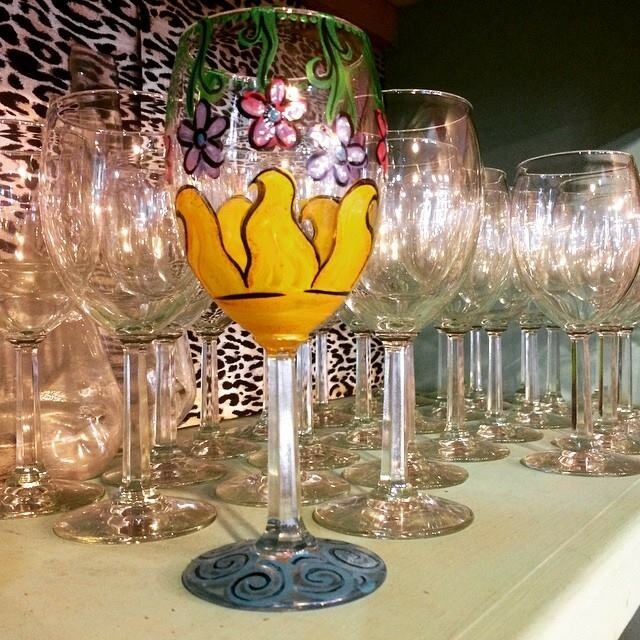 We have several shapes of wine glasses to choose from the night of the event. Our instructors will walk you through the whole painting process. Come enjoy a night of fun music, lots of corny jokes and fun with other coupled up folks. This is a BYOB event so bring on the drinks! Must be 21+ to drink.